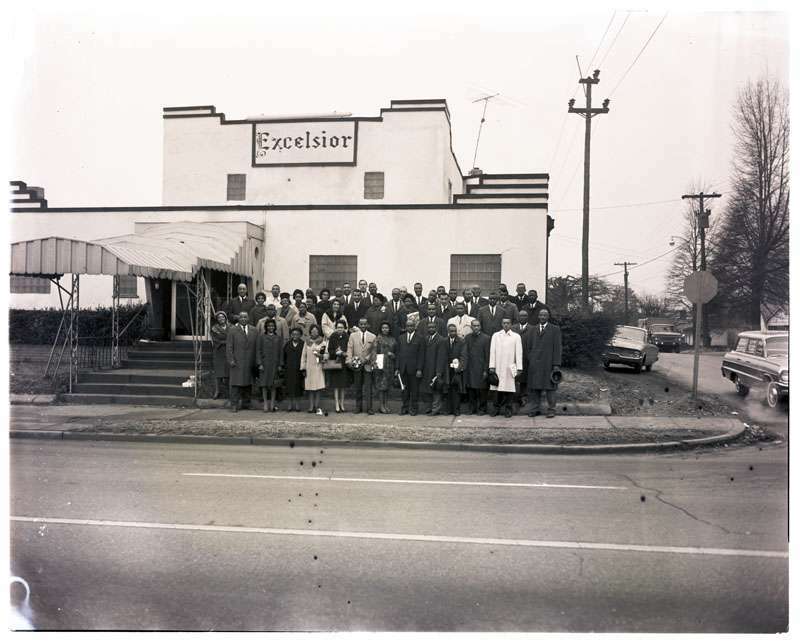 Johnson C. Smith University is using digital mapping and photography to preserve the history and the character of the surrounding neighborhoods that are changing in the Historic West End. Brandon Lunsford is the University Archivist and Digital Manager at the James B. Duke Library at Johnson C. Smith University. He has taken the lead role on a digital mapping project that started back in the summer of 2017. Lunsford is creating a space where old photos can be paired with locations and then layered with additional research resources like recordings, documents, news articles, and more. Lunsford explained, “UNC Charlotte has some stuff on the neighborhood. We [JCSU] have some stuff. Chapel Hill and Duke University have stuff. The Public Library in Uptown has some stuff. The Charlotte Mecklenburg Landmark Commission, the Planning Office, and the State Historic Preservation Office all have stuff about the neighborhood. So, I wanted to make sure I could link all that stuff online and congregate it all in one place.” The result was the creation of an interactive map made with the software History Pin and a ton of old photos gifted to JCSU. Most of the old photos Lunsford is working with come from the James Peeler Collection. Back in 2010 the University acquired a large photo collection from the Peeler family. The collection has over 300,000 photos that include important images of Civil Rights leaders and daily life in the Historic West End. 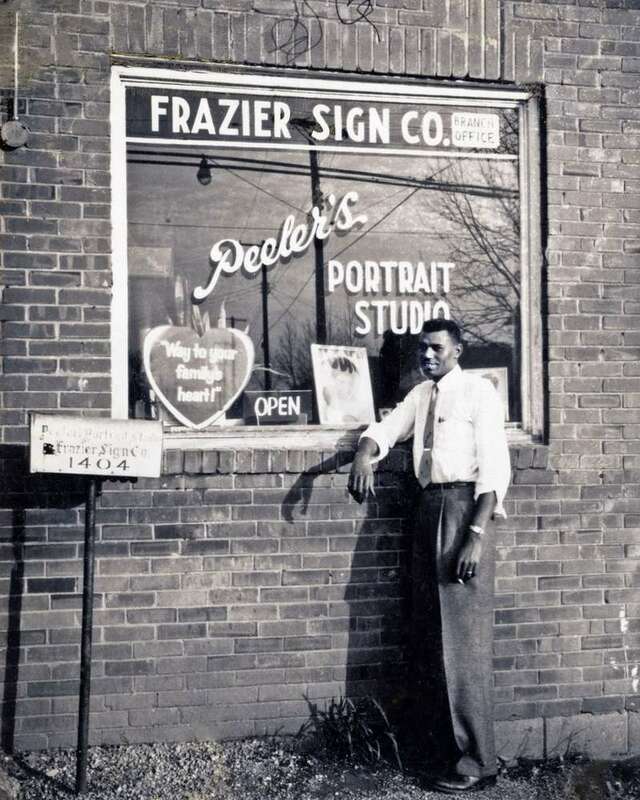 “James Peeler had a photo studio in the West End. He was very well known in the community for taking all kinds of studio pictures,” said Lunsford. “He took pictures when Martin Luther King Jr. was here. He also did a whole lot of studio pictures of weddings, funerals and stuff like that. He had a really large collection.” That large photo collection is now helping JCSU provide archival information to the public. Once JCSU had the large collection of photos, they then had to find a way to protect the collection and make it easily accessible to the public. For Lunsford, digitizing the photos and putting the images online was the next logical step. The University received a couple of grants to process and digitize the Peeler Collection. The $100,000 grant from the National Endowment of the Humanities went toward creating the interactive map, conducting interviews, transcribing interviews, and putting them all up digitally to add to JCSU’s digital archive. For the History Pin map Lunsford focused on churches, schools, entertainment clubs, restaurants, and the homes of important people in the neighborhood like civil rights leaders, past presidents of JCSU and principals of schools. The map is still being created. There are currently 70 locations layered with content in the comments sections ready to be explored. 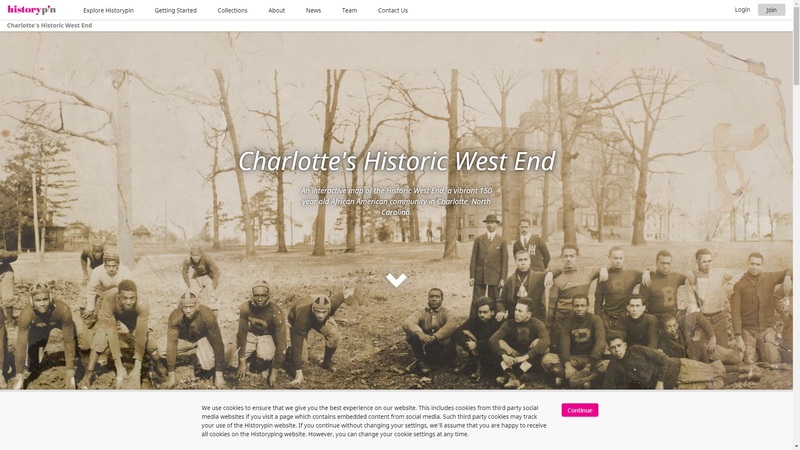 However, the website created for the map, WestEndCharlotte.org, is not complete. On the website at the bottom there are some historical themes that are unfinished. Those themes are the bombings that happened to the civil rights leaders houses all in the same night, school desegregation, the highway coming through, and the civil rights marches in uptown. Lunsford has set those aside as different links and is in the process of adding to those historical themes. However, the full map on History Pin is available to explore now. The plan is to have the interactive map website completed with historical themes by February 2019. That will be the formal launch of the website as a part of an exhibit about the history of the neighborhood and the northwest corridor entitled Reclaim 37. Monika Rhue, Director of Library Services at Johnson C. Smith University, explained that Reclaim 37 is named after an exit off of Beatties Ford Road. Exit 37 is connected to the interstate that, when built, wiped out half of the Historic West End’s Biddleville community. “The exhibit is an interactive art series that chronicles the past and present day that speaks to the narrative of black spaces and black voices on the west side of Charlotte,” explained Rhue.